Under construction - END Unit Venice with guest suite. Open floor plan on the main level features a breakfast bar on the island, boast Linen color cabinets with New Caledonia granite counter tops, subway tile back splash, stainless appliances and built in waste basket holder. Ventura 7 x 22 plank flooring covers your kitchen and gathering room. A bedroom and full bath are located at the back of the home. Travel up the the stairwell which features upgraded stair railings to the Loft and Game room. Great large area for extra living space. Two secondary bedrooms with walk in closets are i the front of the home and share a full bath with dual sink vanity. Owner's suite is located at the back of the home. It features a tray ceiling, great bath with soaking tub, separate shower stall, separate vanities and walk in closet. At over 2500 square feet, this town home offers it all! Also included is the Ecobee4 Smart Thermostat, pre wiring in bedrooms, gathering room, loft and game room for ceiling fans, USB chargers built in to the outlets in the kitchen and owner's suite, granite in all baths, upgraded bath fixtures and more. With community pool overlooking the bay, kayak launch and storage and fishing, Bayside Terrace is destination living at its best. 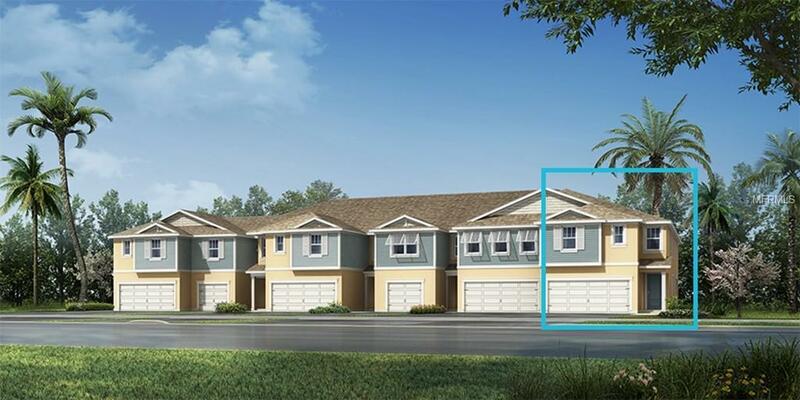 Come see why Bayside Terrace is Oldsmar's hottest new address!